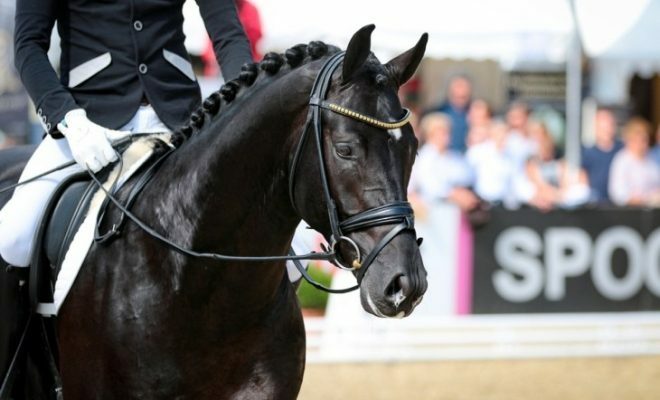 All riders who are preparing for a dressage test, or are training their horses at home, will not be unaccustomed to hear the words, ‘ride from your inside leg to your outside rein’ from their trainer. But what does this phrase mean? In order to confidently ride this request, the rider will have the horse productively pushing with the hind legs under the body. 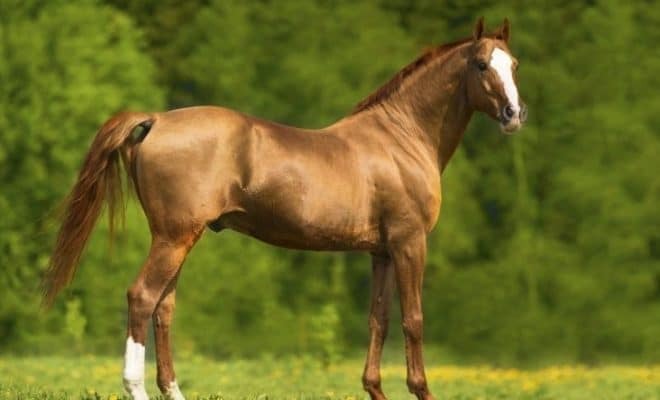 He will be able to answer the request from the inside leg and inside rein to bend to the inside of the circle or corner, whilst the outside hind leg is following into the hoof print of the outside foreleg. 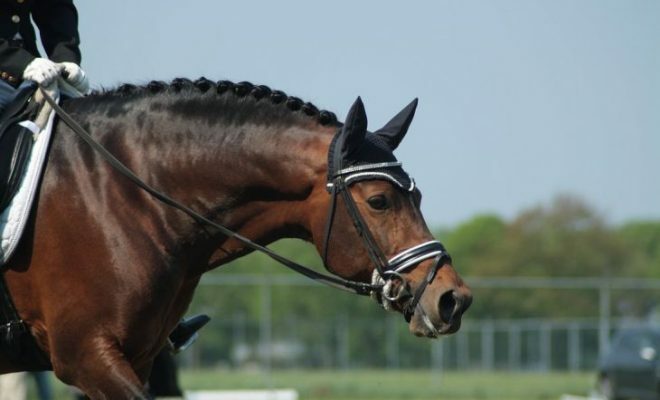 At the same time, the rider is in control of the tempo and balance of the horse’s movement via the outside rein contact. In the earlier levels, this might not always happen as desired, and let us look at Figure 1 to understand why. Figure 1: Image of a horse on a small circle. If the horse was bending correctly, the vertebral column, from the ears to the tail, would follow the blue line and therefore, the horse would have to be between the rider’s inside leg and outside rein. 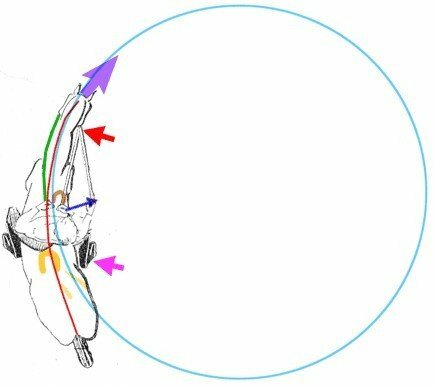 These areas of the anatomy can allow the horse to bend uniformly around a circle, or through a movement, if the rider is applying the correct aids. If the horse was bending correctly in Figure 1, the base of the tail would also be on the blue line. Instead, the horse’s body is dissected by the red line. 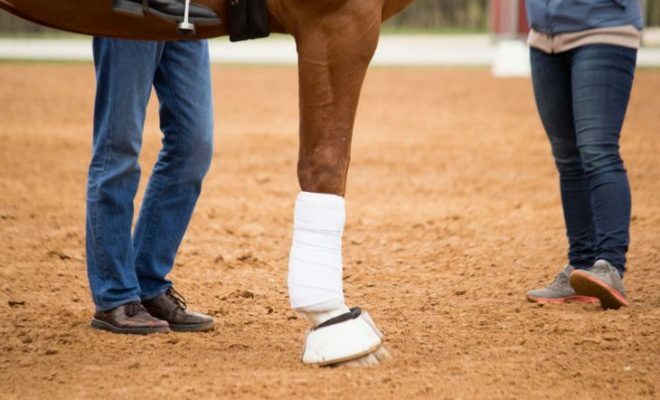 This indicates an incorrect bend, as the outside (left) hind leg is stepping outside the line of the circle despite the correct flexion of the head and positioning of the shoulders. The rider of the horse in figure 1 is sitting INCORRECTLY. The effort of opening the inside rein (red arrow) is counter-productive because the inside (right) leg is too far back – it should be under their right seat bone. This is where the horse will eventually learn to place his inside hind foot. The outside (left) leg is too far forward so would be taking the weight of the rider to the outside. Therefore, the outside hind leg would also be positioned too far to the left. Figure 2: The rider can use a straight inside rein to indicate, through the corner of the mouth, a flexion to the inside. 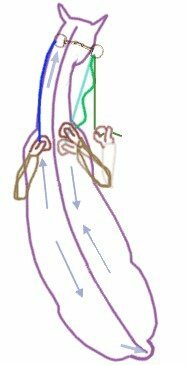 Correct bend to the inside will enable the horse to stretch into the outside rein (heavy blue line). The rider can check the horse’s acceptance and balance to the outside rein by giving the inside rein (wavy green line). Correct bend to the right (Figure 2) is achieved when the right hind leg is placed under and as near to the rider’s right seat bone as possible, relative to the stage of engagement. The horse can give in the area behind the scapula and first rib and therefore stretch the musculature of the left side into the left (outside) rein. The rider’s seat and inside leg will create the engagement and therefore the bend. The rider’s outside leg will prevent the haunches from stepping out to the left (as in Figure 1), and the balance and tempo of the rhythm will be regulated by an effective outside rein because the horse will automatically connect into it through the stretching of the outside of the body. The engagement of the hind legs and the building of the balance and self-carriage can only progress if the horse is moving forwards from both of the rider’s legs into both of the reins. Therefore, there will be moments through the exercises when the rider needs to know that the horse is from the outside leg to the inside rein. This makes sure that the horse is laterally supple and not becoming stiff in one direction only. 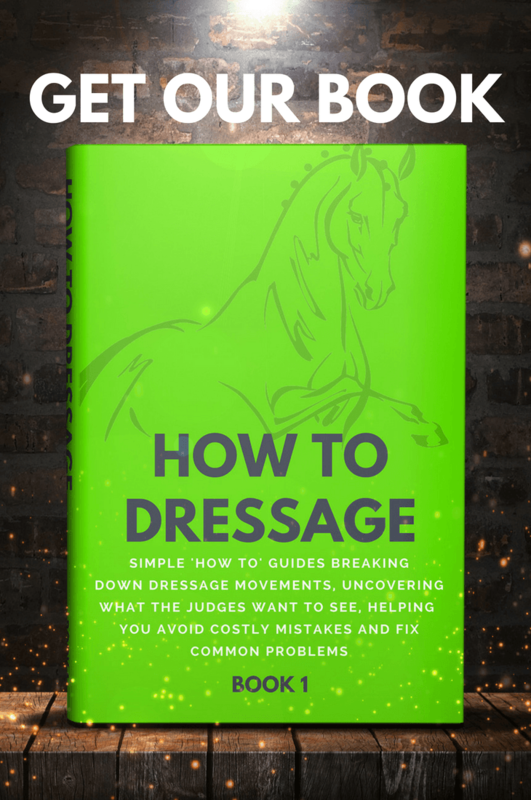 These problems will incur heavy penalties in the dressage test. Beware! When the rider understands that they want the hind legs to move under the body towards the centre of gravity, and they are able to use their seat, core and rein aids to manage the tempo of the rhythm and adjustments in the balance, then they are well equipped to build the confidence of their horse and hence the engagement and self-carriage. These are the qualities that significantly increase the marks and are relative at all the levels.